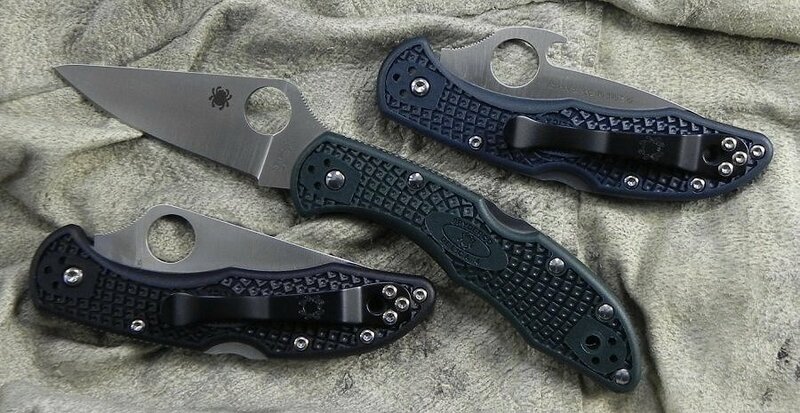 Spyderco Delica 4 Wave. 4 1/4" closed lockback. VG-10 stainless blade with thumb hole pull features the new wave feature which allows the blade to be opened as it is withdrawn from the pocket. Black lightweight fiberglass reinforced nylon resin handles with lanyard hole. 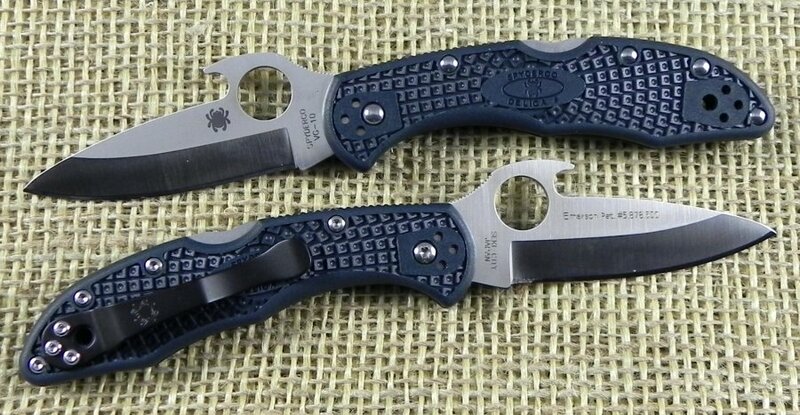 Reversible black coated stainless pocket clip.